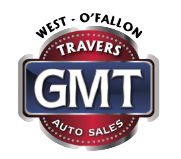 Travers Automotive & RV Group is a collection of used car and RV dealerships that is committed to providing drivers in St. Louis, Missouri with the sales, finance and maintenance assistance that they deserve. With seven dealerships to choose from in five Missouri locations - O'Fallon, Hazelwood, St. Louis, Florissant, Eureka - you can handle an automotive need with ease. Our auto group is one of the largest networks of independent pre-owned dealerships, and we have over 1,000 options for drivers to explore across our locations. We've been serving Missouri drivers for over 20 years, and we look forward to many more to come. And since we offer our vehicle and RV inventory right here on our website, motorists can explore their options with ease! In addition to the customized vehicle shopping plans we offer, our collection of vehicle and RV dealerships in the Eureka, Missouri area can help you finance the model you have your eye on. We proudly work with all car shoppers, including those that hold sub-prime credit scores, so feel free to submit a credit application no matter what your unique financial situation may be. Our Florissant and O'Fallon, MO locations also offer professional vehicle services that can help you protect your ride over the years. Contact our Travers Automotive & RV Group to learn more or simply use our online form to request an appointment now! If you're looking for a used car with low miles and a factory warranty, competitive financing options or vehicle maintenance care completed by certified technicians, head to your local Travers Automotive & RV Group! We look forward to serving Midwest drivers for many more years to come and thank you for allowing our group of dealerships to earn your repeat business time and time again.